Badia Design Inc. carries a wide variety of Moroccan Mosaic Tile Table Tops which are handmade in Morocco then imported to our warehouse in Los Angeles, CA. 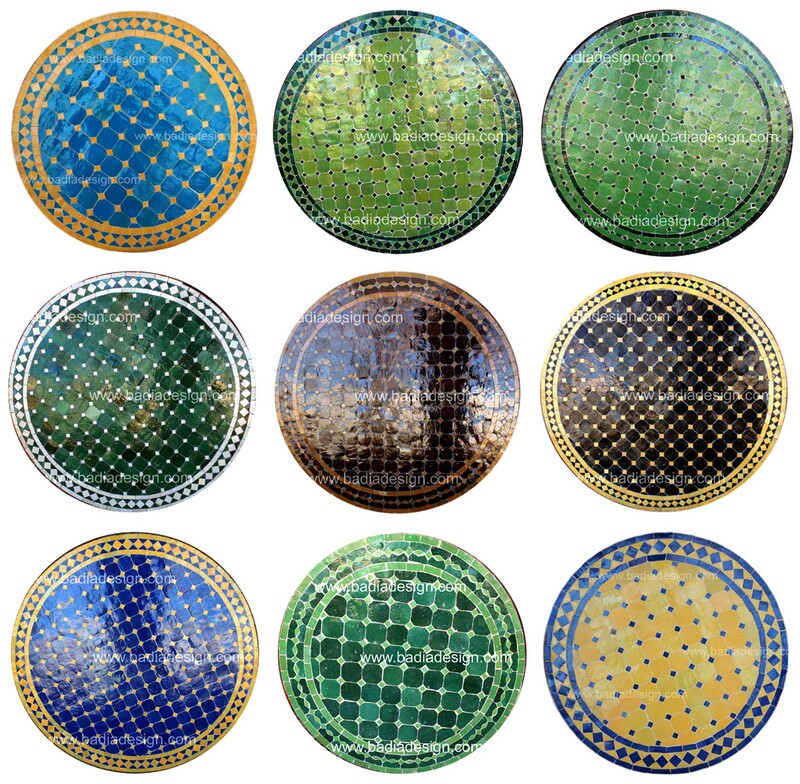 Our Moroccan Tile Tables comes in many different sizes and shapes; round, rectangular, square and oval. Our tile Moroccan Tile Tables can be used in many different locations in your home, office, hotel, swimming pool or deck. Please visit http://www.badiadesign.com/mosaic-tile-table-top to see a full list of our Moroccan Mosaic Tile Table Tops. Moroccan Outdoor Tile Tables from Badia Design Inc.
Badia Design Inc. – 818-762-0130 | We have the largest supply of Moroccan Outdoor Tile Tables which includes an assortment of Moroccan Outdoor Furniture such as rectangular, round, oval and square tile tables; fountains, iron chairs and bases. If you don’t see the design you want at http://www.badiadesign.com/moroccan-outdoor-furniture, we can special order it for you. Please visit our website or call us at the number above. You can also email us at info@badiadesign.com. 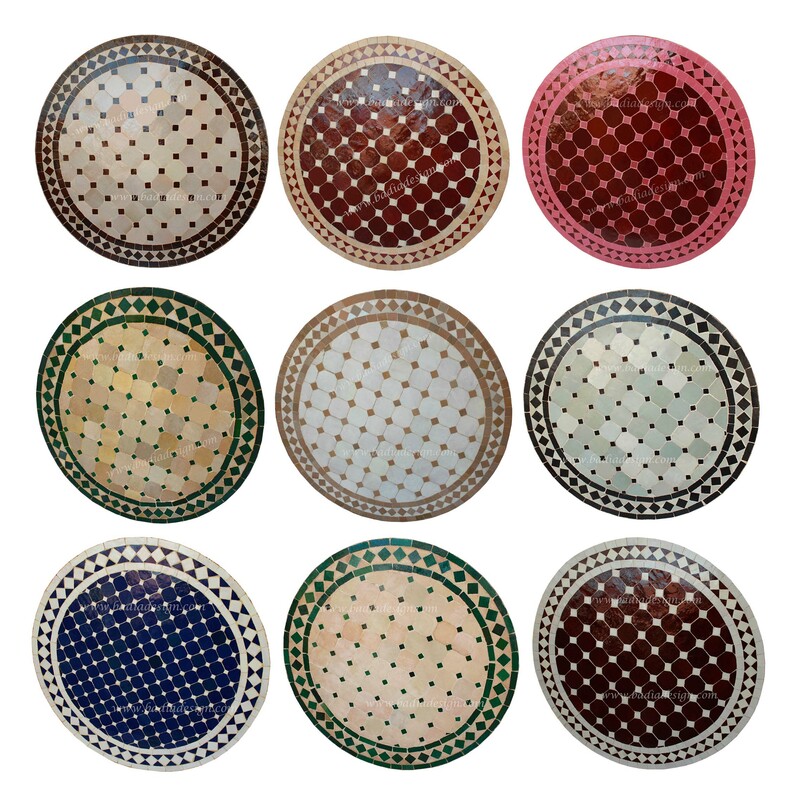 Below are some of our newest Moroccan Tile Table Tops in assorted colors. We’ve been selling a lot of these lately so check back often on our main website at http://www.badiadesign.com for the most current list.